Light strips are awesome, but you know what’s even more incredible? 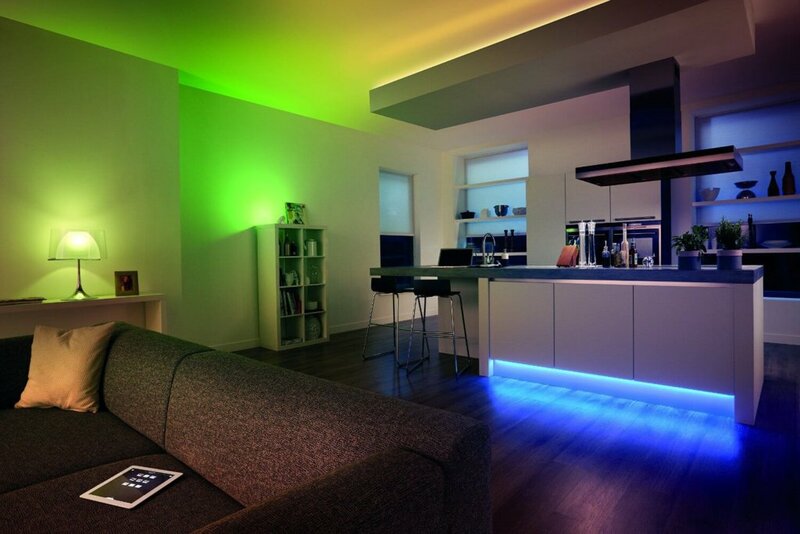 Smart light strips. These are connected to the Internet so you can schedule them, control them remotely, or set special rules to change colors when your favorite sports team scores or it starts raining. 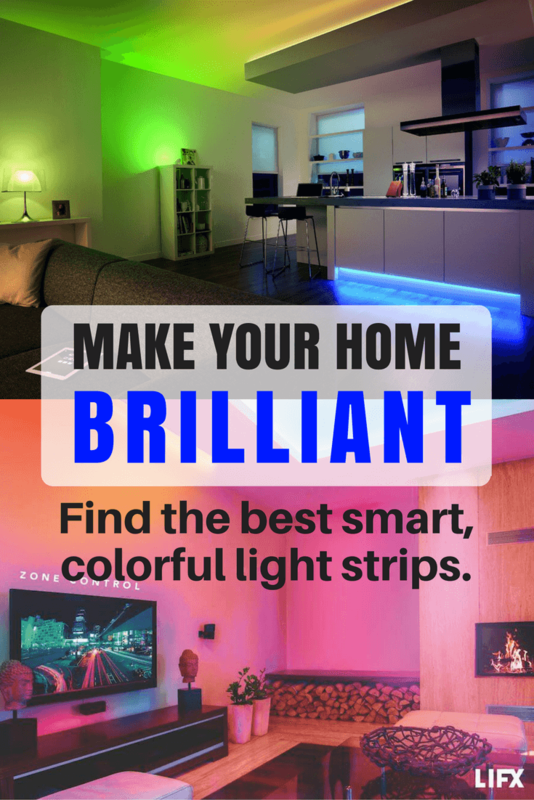 In searching for the best smart light strips, you are basically narrowed down to three options: LIFX Z vs Philips Hue Lightstrip Plus vs Osram Lightify. LIFX and Philips Hue are the two big players in the smart light market, with each brand having their own pros and cons, depending on what you are looking for. The LIFX Z is a new product shaking up the smart lightstrip market. 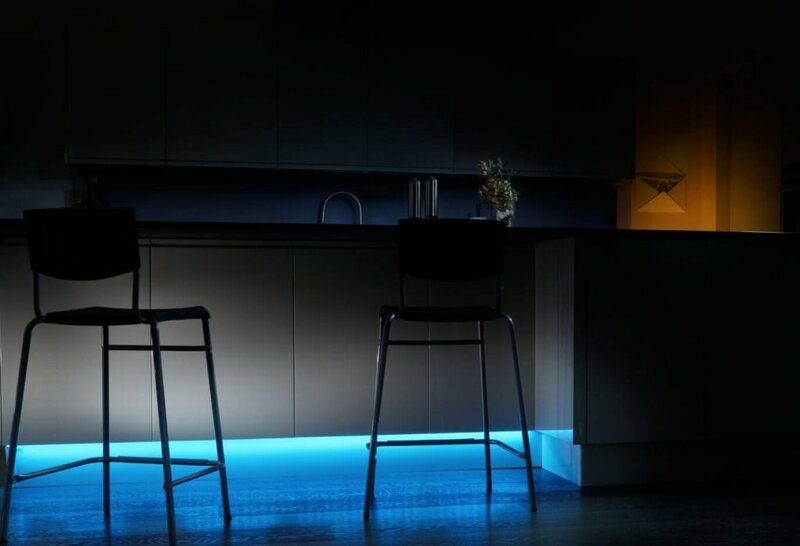 Osram Lightify also offers an interesting option for a less expensive smart light strip that still offers plenty of value. I will be ranking LIFX Z vs Philips Hue Lightstrip Plus vs Osram Lightify according to the specific factors of set up, smart home compatability, brightness and colors, and software. A winner will be designated for each category, and at the end I will select an overall winner between the two light strips. All strips are extendable using extension kits, making them able to fit whatever space you have in mind. Each strip also is installed using a peel and stick installation included on the back of the strips. Requires a hub that plugs into your router to operate. For some users this isn’t a big deal if they already plan on committing to the Philips Hue brand (which also offers standard-sized smart bulbs and lamps). But if you just want a few bulbs or one section of light strips, it doesn’t make sense to pay the extra money and get locked into a hub. 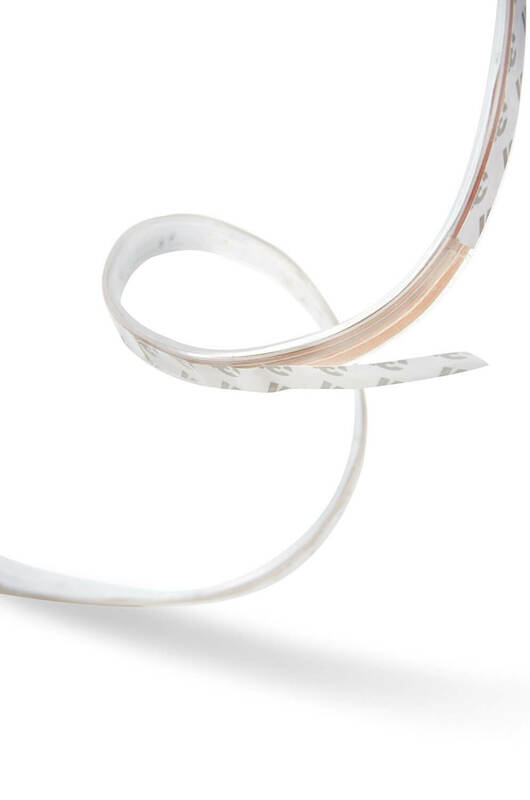 Comes in 3 separate strips that you connect. This makes it easier to wrap around corners. LIFX Z doesn’t require a hub for set up, which makes it a great pick because it works out of the box without requiring additional expensive hardware. It comes in 2 pieces which makes it easy to customize for your living spaces. It will be interesting to find out more about setting up LIFX Z and if you can cut the strips to size. Each device in LIFX Z vs Philips Hue Lightstrip Plus vs Osram Lightify works with IFTTT (If This Then That). This free app is crucial to automating your home with rules (called “recipes”). You can have the lights turn on at the same time every night, or change colors whenever your favorite team scores. To get started, just search for the specific IFTTT channel for each brand. Works with Wink, Samsung SmartThings, Lightify hubs. Although it requires a hub, it’s nice that you can choose from 3 different hub options. Cannot natively sync with music or movies; limited third-party app options may be available. Philips Hue is the strongest brand when it comes to smart lights. Because of this, Philips Hue is compatible with many smart home systems- even the new Google Home. It’s the only one of the three with HomeKit capability, meaning you can control it within the Apple Home app on your iPhone/iPad. If you are looking for the light strips with the highest compatibility out of LIFX Z vs Philips Hue Lightstrip Plus vs Osram Lightify, Philips Hue Lightstrip Plus is the way to go. Each light strip is multicolored (including warm and cool whites) and offers enough brightness to light up the entire room. All strips are dimmable. 1,400 lumens per 2 meters. 700 lumens of brightness are added when LIFX Z is extended; the maximum brightness is 2,800 lumens max per light strip. This is a big plus because LIFX Z has the capability to add brightness as it is extended. Offers 8 color zones per meter. This means that the same continuous light strip can have different colors lighting it up along the way. LIFX Z is the only LED strip to offer this feature. LIFX Z offers more lumens because it doesn’t dim as it is extended like the other two options. It also has color zones for making your light strips multi-colored for a unique gradient look. The LIFX bulbs are known for letting off extremely vivid, accurate colors, so the brand is known for delivering bright rainbow of color options. The other two are bright enough to light up a room, but still will not reach the same amount of lumens and white temperature range as LIFX Z. All three light strips in LIFX Z vs Philips Hue Lightstrip Plus vs Osram Lightify offer scheduling, groups, geofencing, and scenes within the app. You can also turn off all lights in one click within each app. Offers in-app effects including color cycle, candle flicker, strobe, music and others. Design is a little more confusing than LIFX. Requires more third-party apps for advanced features instead of just including features within the app. This was a very close call between Hue Lightstrip Plus and LIFX Z. Both offer excellent apps with unique features, but many users agree that LIFX Z is the easiest to use. Personally, I found the LIFX to be extremely intuitive, requiring no instructions whatsoever. The Philips Hue app is still easy to use and the hundreds of third-party apps available is a huge plus, but LIFX has a slight edge here. 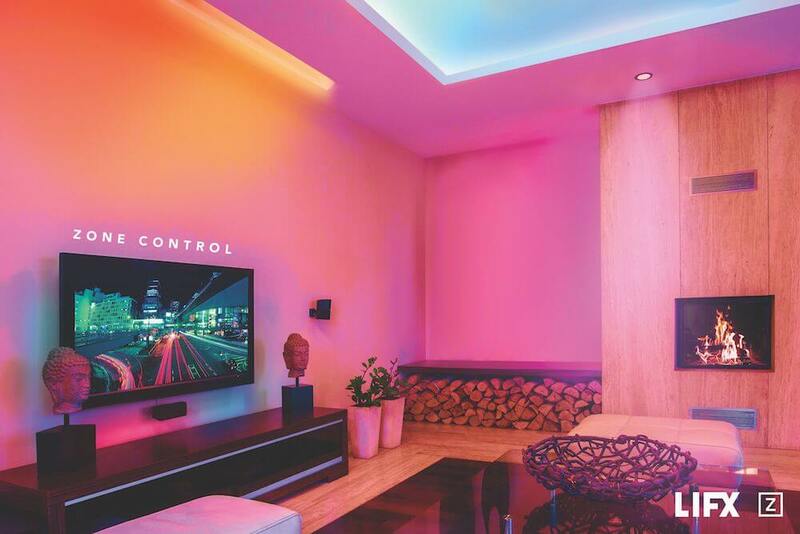 Smart light strips can add something special to any room. 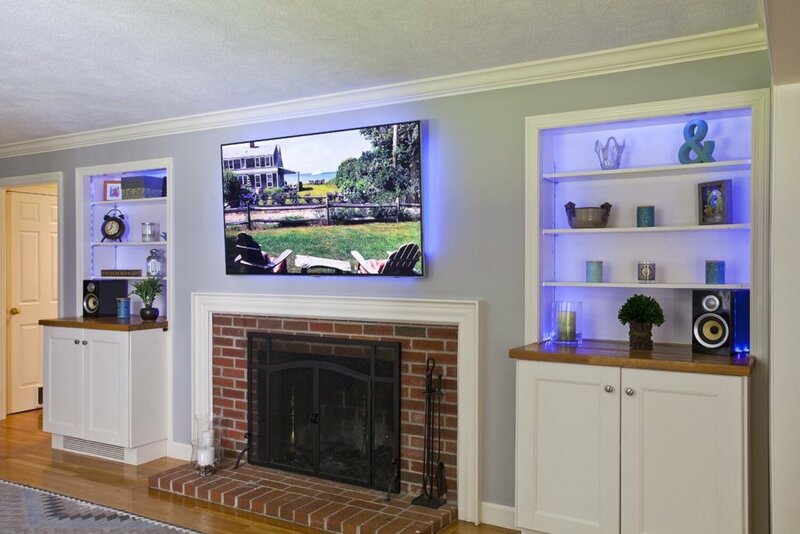 Whether behind a TV or piece of artwork, under the cupboards, or along your ceiling, light strips make a huge difference in adding a splash of color to an otherwise boring area. Here are a few images to give you some inspiration. 1. LIFX has announced Google Home integration by June 2017. 3. The zone coloring in the LIFX strips is kind of a gimmick. There is a lot of color bleed, and when switching from one scene to another, my strip only switched the first of the 8 zones, so I returned it. Hopefully this was a lemon. Thanks for the comment! We will have to update when the Google Home integration goes live. Thanks for the clarification on the syncing as well. That’s too bad about your experience with the color zoning. Depending on where you install LIFX Z, the color zones look pretty impressive, in my opinion. Mine are above my kitchen cabinets, so you can’t really notice color bleeding. I haven’t had any glitches so far. Overall, this is a feature I think lots of people would enjoy, so it’s worth noting that it’s not offered by Hue. Thanks for your review… very helpful as I am trying to decide which system to go with. The major problem I understand for LIFX Z is that due to the circuitry complexity required for the color zones, the strips cannot be cut except at the end of the last strip in the string. This makes it impossible to use the strip for example in shelving where jumpers are needed between sections vertically from one shelf to continue the strip on the next. Practically, the strip is only usable where you can afford a starter controller for each contiguous length.